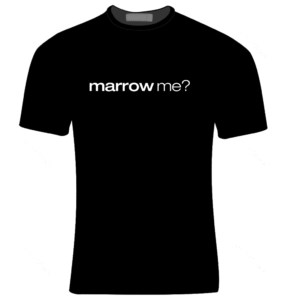 When you buy a Curepon from one of our partners, your purchase will become a donation to Marrow Match. Check out our list of partners and choose which Curepon you would like to purchase. Buy your Curepon by clicking on the link corresponding to the vendor of your choice. Receive your Curepon in the mail, and redeem! For many thousands of patients, a marrow transplant is a cure for their disease. When you purchase a coupon from one of our partners, you are helping us find the next cure, hence, Curepon! Eat Drink and be Marrow! Potentially save someones life over lunch! Clothing, accessories, shoes and more. Services, products, events, and more. Stuff for you, Marrow for them.